You can bring your left-over food into something new and delicious. I always like to play with my food to make it more interesting and eye catching for the kids. I made this Rice o’lette the other morning and it was a hit for the kids. 1. In a cup, put half of the scrambled eggs. 2. Add half of the rice. 3. Repeat the procedure using the rest of the ingredients. 4. 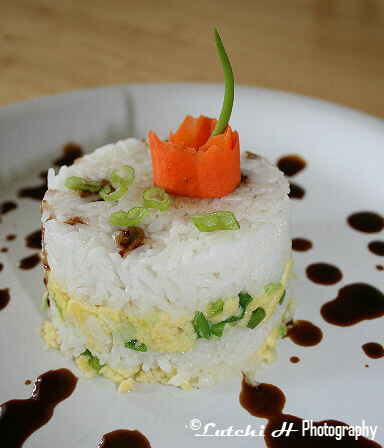 Mix hoisin sauce and soy sauce together and drizzle into the Rice o’lette. kalami ba ana lutch! artistic man sab diay kaayo ka!